Now that you’ve been inspired by National Handwriting Day (January 23rd) to get writing again, International Correspondence Writing Month is the perfect opportunity to put those chops to good use. The InCoWriMo challenge is to write a letter a day for the entire month of February. You can find more details here, but the gist of it is to get writing – once a day. Here are some tips to get you through the month. 1. Get all set up! Find your paper and envelopes and some of your favourite pens or pencils and get it all together on your desk. Consider using some correspondence stationery that shows the thought you’ve put into the letter you’re writing, but some of the world’s most famous letters were scribbled on paper ripped out of a notebook. 2. 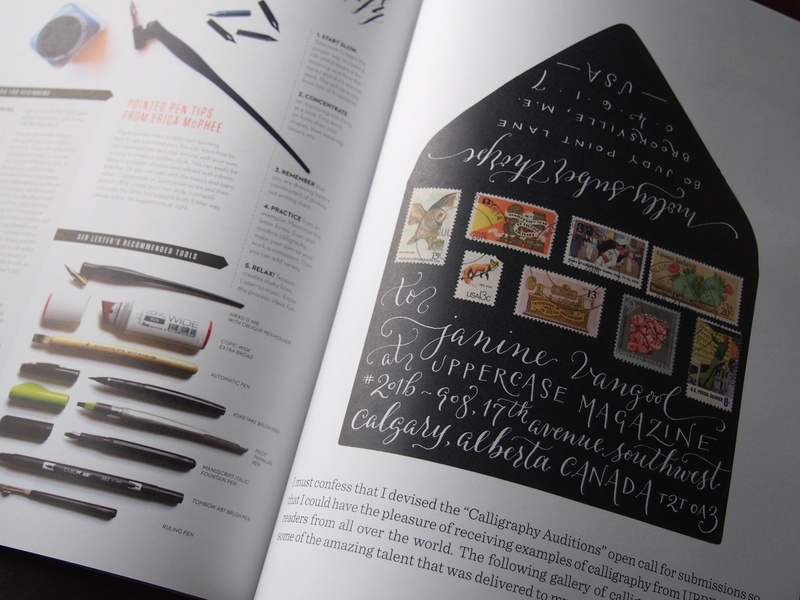 Check out your local Canada Post or post office for some cool stamps! I am loving these Year of the Ram stamps recently released, but they also have some older releases available that you might like. 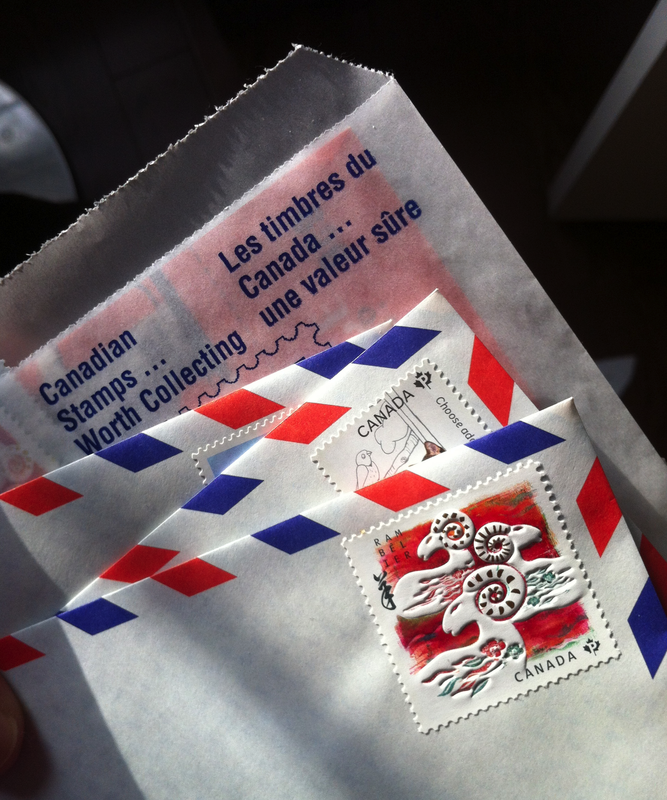 My favourites include these international stamps and these 63 cent stamps. It’s also nice to say hello to your local post office folks and appreciate what they do. 3. Take the time to create a list of people and collect some addresses before you begin – there’s nothing more frustrating than writing a letter and then spending several minutes (or more!) hunting for an address that you may not find. Having your list handy will mean as soon as you’re done, you can stamp and address your envelope with a sense of satisfaction! – Your favourite bloggers may have an address or PO box listed – sometimes it’s nice for them to receive encouragement since they write and write, but don’t necessarily hear back from their readers! 5. Go to your local bookshop or library and browse through a copy of Letters of Note. This collection of funny, touching, bizarre and historical letters written throughout time will surely inspire. 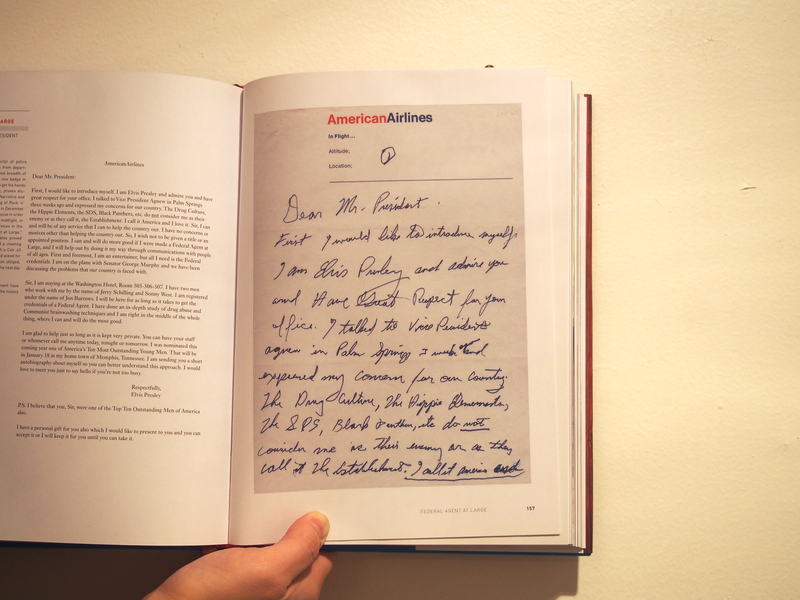 While I love being able to flip through the pages and see the writing and descriptions of the circumstances of each letter, if you can’t get your hands on a physical copy, you can browse through their website, lettersofnote.com, to get some ideas. 6. Take it easy and enjoy yourself! Don’t worry if you miss a day or two or more. Even if you end up only writing a few letters, the important part is to connect or re-connect with people who mean something to you, your community or the world in which we all live. *Fun fact: on our first trip away from Super (the family dog), I wrote him a postcard from Mongolia. What a wonderful idea, and it means I can buy some lovely stationary to write on too! I am a grade 3 teacher in Newmarket. I have my students write to another class in Portola Valley California , where my brother lives. The kids struggle at times to think of ideas in their writing, but also love to receive letters. I think letter writing is a lost art so I am proud to encourage my students to keep it up at least for this school year . Thanks for doing the same with your club! What a great idea! Kids definitely love to receive letters – it’s really like a present just for them in the “grown up” mail box. What an amazing way to really show kids how reading and writing skills are actually used in a real world type of setting. Thanks for taking the time to share!